Recently I installed MS Office 2010 Pro trial version and receive the following Macro error in Access: compile error “Can’t find project or library”. I tried setting the macro security level to low in 2010; however, the macro still will not run. I don’t know how do I fix this error. 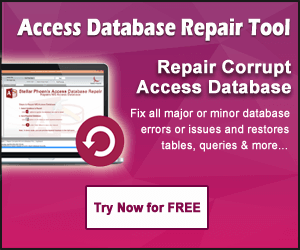 If you too getting the same error in your Access Database, then try the mentioned solutions given in this post. following these procedures will surely help you in resolving this error on your own. Libraries are the component that provides functionality. Access and its programming language (VBA) are two essential libraries in every project. If access don’t provide something for which you are looking for then you can find a library and add it. But sometime adding extra libraries raises the numerous issues. 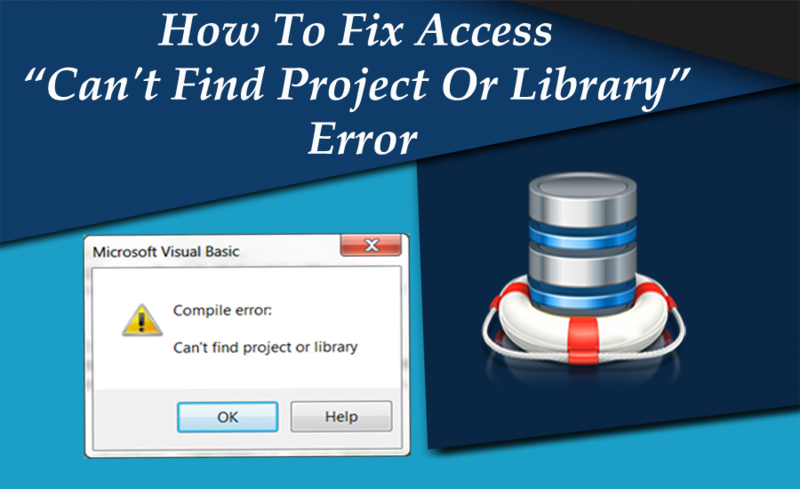 When using the VBA code or macros in Access, the following errors is received “Compile Error: Can’t find project or library”. well this error is also commonly rendered in excel 2016 with the following error message : Can’t find project or library Excel 2016. Access loads the relevant file (such as a type library, an object library, or a control library) for each reference, as per the information shown in the References box. If Access is unable to fetch this file, then it will perform the following procedures to search for the file. Access checks for the referenced file whether it is currently loaded in memory or not. If the file is not loaded there, then the Access tries to verify that RefLibPaths registry key exists there or not. If it is present there, Access checks for a named value which is having the same name as that of the reference. If it matches well, Access loads the reference from the path that the named value points to. The Application folder (the location of the Msaccess.exe file). The Windows or Winnt folder where the operating system files are running. The System folder under the Windows or Winnt folder. The folders in the PATH environment variable that is directly accessible by the operating system. If access won’t get such file then reference error occurs. Following here is the list of some reference error message that Access users frequently encounters. Chances are that application has lost the reference to an object or type library resulting in above error when using macros and native VBA functions. 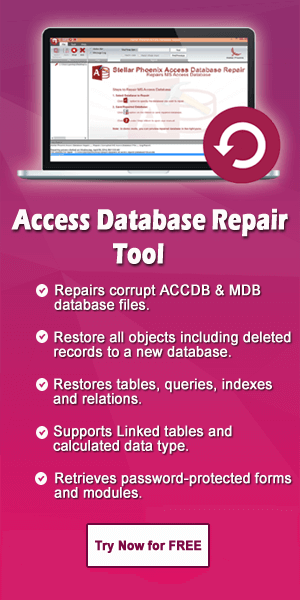 Open your Access Database or application. Now open the module in design view or simply press ALT+F11 to switch to the Visual Basic Editor. Go to the Tools menu, click References. Alternatively, in order to remove the reference; restore the referenced file to the path specified in the reference dialog box. If the referenced file is somewhere else in the new location, clear the “Missing:” reference and generate new reference to the file in its new location. Installation and un-installation of any software overwrite, remove or sometime de-register libraries. In that case simple functions like Date() or Trim() don’t work. To see what libraries an Access Project is referenced, open any code window and choose the References option from the Tools menu. It is possible for the file to be there in the reference list without being correctly registered in the registry. If you suspect such case, then follow these steps to register the file. Click Start, and then go to the Search option after then click For Files and Folders. In the Search for files and folders named box, type exe. In the Look inbox, tap the root of the hard disk. Select the check box Include Subfolders, if it is not selected and then click Find Now or Search Now. Drag the exe file from the search panel to the Open box. FileName is that file name that you want to register. When the FileName.dll file is in the Openbox with the Regsvr32.exe file, tap to the OK. In Access, check whether the problem is actually. If you don’t get this Regsvr32.exe file on your system then, check other computers for the file, you can also obtain this file from Microsoft Web site. If the library is marked missing, then click the Browse button and search for the file for the library. Tap to the windows start button and select the run option. Now enter regsvr32followed with the full path of the library file. Uncheck the missing library in access. After this re-register it again with the above command and select the library reference again. Don’t forget to compile all modules after making adjustments in the references. To compile all the modules with the module still open, click to the Compile database on the Debug menu. If the modules don’t get complied, there may be additional unresolved references.